I know payday is still forever away but with the sales about the end, this is the best time to pick up a great bargain. And we all need a little cheering up in January. Oh and you’d totally be helping the economy, it’s the patriotic thing to do. I’ve scoured the internet to bring you the best bargains from the sales, including investment pieces for your SS15 wardrobe. The Tibi skirt is my absolute favourite, pink is a key trend for Spring and the cut, pleats and length will make it such a hardworking wardrobe addition. The Helmut Lang skirt ticks the monochrome trend box and is super easy to wear. The Whistles scarf and J. 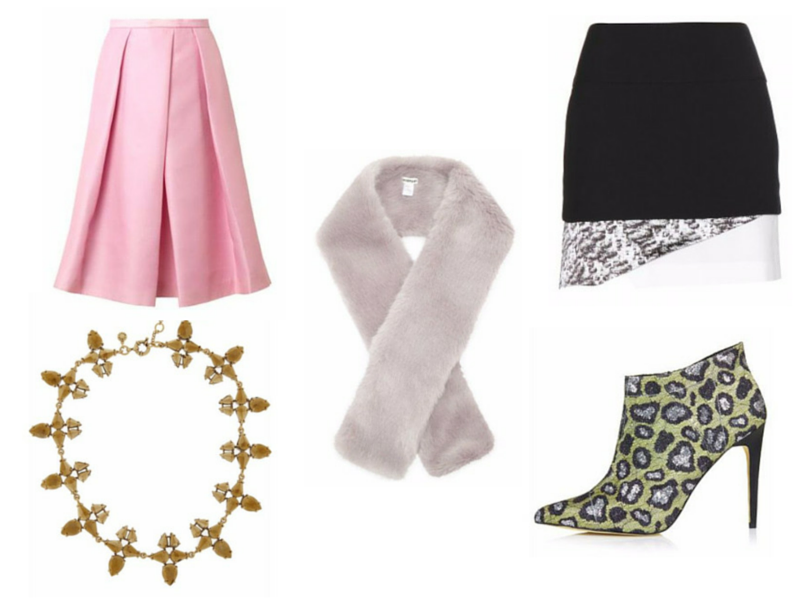 Crew necklace aren’t so trend-led but they’re great additions to your wardrobe, who doesn’t love a faux fur scarf and statement necklace? The Topshop boots are a bit more of a statement, but perfect for jazzing up a plain outfit.